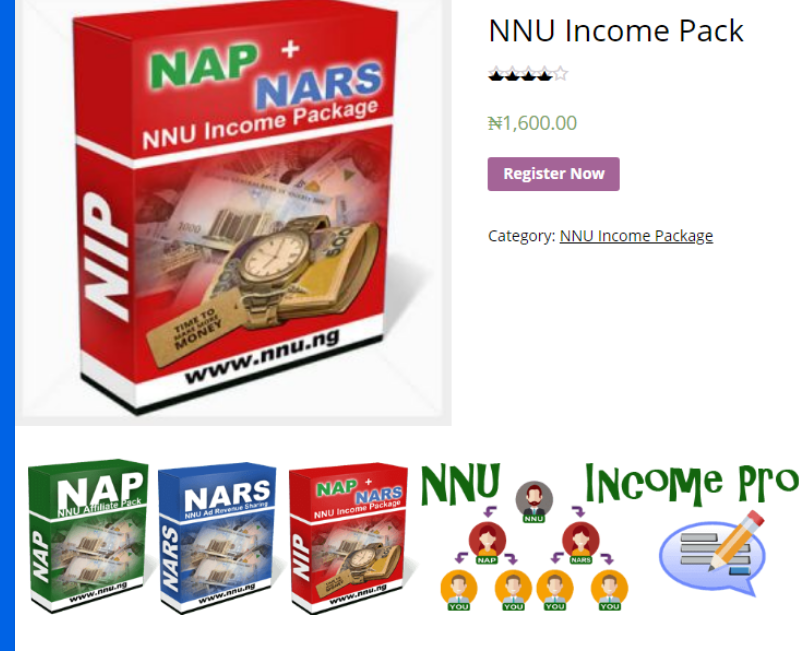 NNU Income Program Review: Is this Platform Scam or Legit? NNU has taken after Jumia, Nairaland and Vanguard, It is now among the top 10 most visited informative website in Nigeria. It is a registered company in Nigeria with a full name as Nigeria News Update. It came into the blogsphere mid 2017 and ever since then it has been on the lips of all and sundry. NNU Income Pack (NIP) is a financial solution not a quick rich scheme and it’s a Double Your Hustle (DYH) idea created by a young Nigerian entrepreneur Paul Samson under the auspices of G-Cyber Technologies. A professional web and ICT business registered under Corporate Affairs Commission (2453653). The sole aim of nnu.com.ng is to help Nigerians deal with their financial problems by earning passive monthly income. NAP: As an affiliate, you earn 62.5% per each referral. Which is #1,000 from the #1,600 registration fee. Reading post, Commenting and Contributing: earns you #2 or more depending on the daily revenue share. Posting Forum Topic: earns #100 for any approved forum topic posted on the website by you. Sharing sponsored post on Facebook: sponsored posts are assigned to members in their dashboard to share on their Facebook timeline,it fetches you #100 daily. In this era of multiple online scams, most people get paranoid whenever they hear of online investments. NNU Income program is not a scam or a Ponzi scheme. They generate income from advertising revenue. NNU platform is a user friendly platform that has similar features with nairaland. However to enjoy this program you need to be consistent.